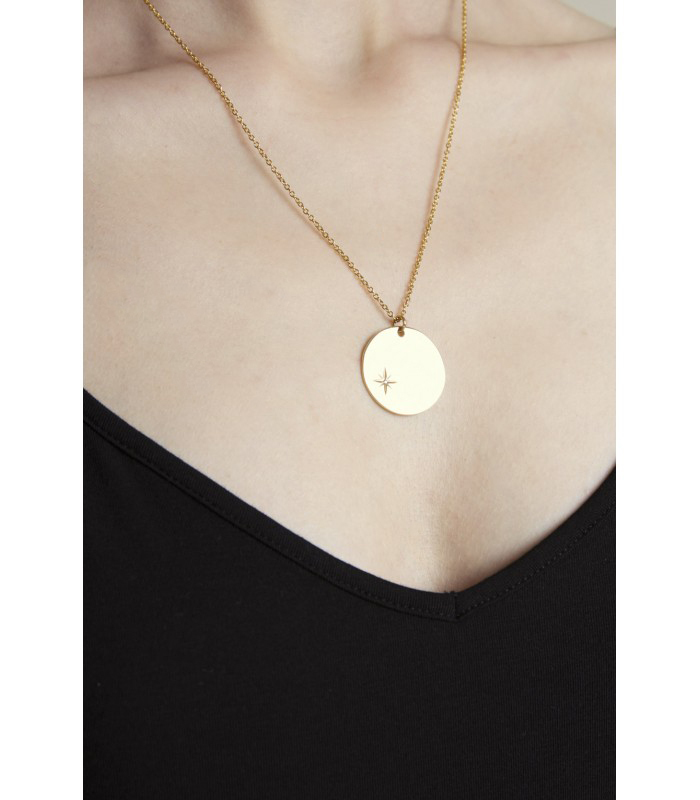 Gold coin necklaces will always be in trend, it's an essential in every woman's jewellery collection. 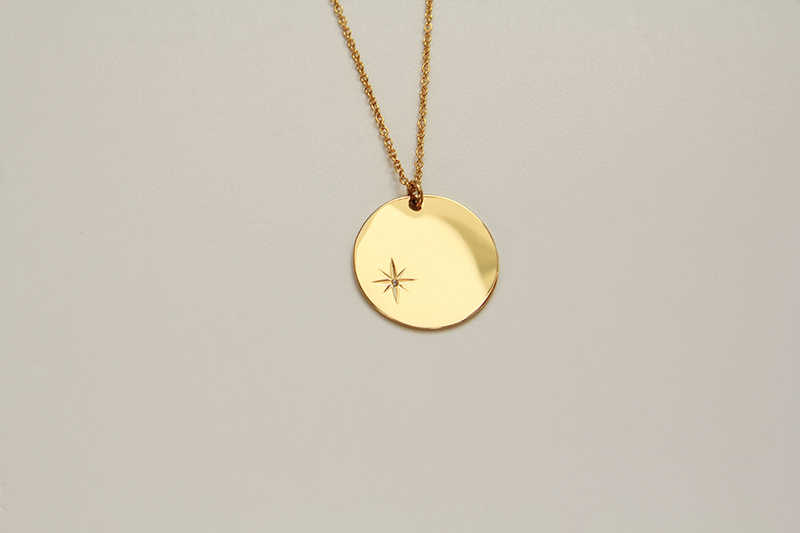 This Étoile necklace is inspired by the polar star, preferably bright, closely aligned to the axis of rotation of an astronomical object. Because of it's position over the North Pole, it's the only star that doesn't appear to move. It also is used to assist humans in finding north - since it's stays in the same place all through the night and year. 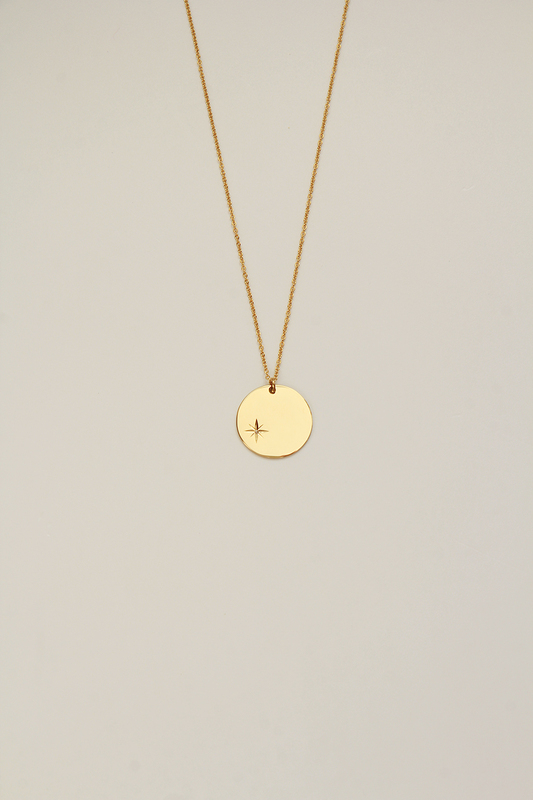 It reminds us that we are always heading in the right direction, no matter what path we decide to go down.